Is Weight Loss the Enemy??? I’ve been thinking about the topic of weight loss. It is a sensitive subject for me because, for most of my life, I haven’t been able to sustain weight loss for a prolonged period of time. I haven’t ever liked to talk about it because I much preferred to deny that I was carrying around extra weight and didn’t want to explain my failure if I didn’t stick to whichever crazy diet I was on at the time. Truthfully, I still don’t like to talk about it but I think I need to. I believe that my desire to lose weight was the “divine symptom” that finally made me face my unhealthy relationship with food and to make necessary changes in my life. If I didn’t need to lose weight, I would never have sought binge-eating disorder treatment or undergone a transformation that is allowing me to have a healthier life, body, mind and soul. Weight loss, in and of itself, is not “bad” but becomes so when it is held as a toxic goal where achieving the “perfect” weight defines the value of the person. The distinction is that the motivation for weight loss be pure and non-toxic and the way in which it’s achieved be through kindness, compassion and soul-searching, not through deprivation, self-loathing and willpower. 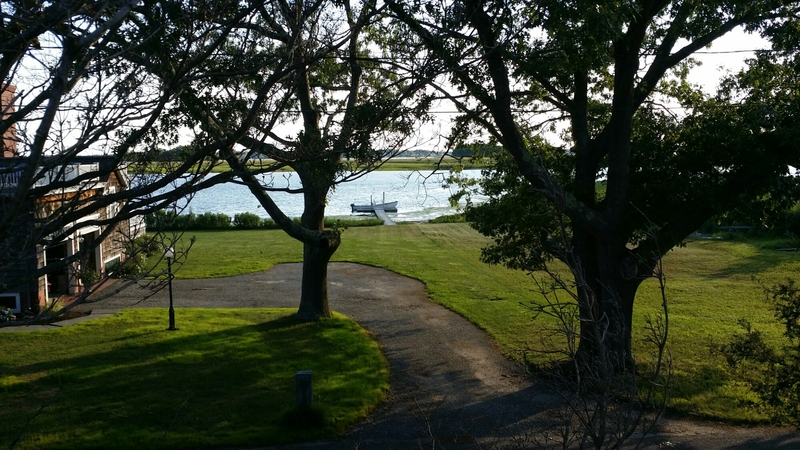 Greetings from Old Lyme, Connecticut! Expand your horizons…enjoy a different state! I’m sure everyone has heard about Dr. Oz testifying before the US Congress regarding comments made on his TV show about some products being “magic weight loss cures.” During his testimony, members of Congress scolded him for purporting that these products are miracle cures or quick fixes for weight loss stating that it misleads the American public. I don’t disagree but I think Congress was making an example of Dr. Oz that can apply to companies and people who claim to have the magic cure. I have to ask myself what the true motivation is for people to lose weight. Is it to look better, avoid disease, contain healthcare costs for obesity related illness or to be healthy? Maybe it’s a combination. However, the way in which most people go about losing weight through starvation diets, extreme exercising, drugs, supplements and radical surgery isn’t working. Yet, there are more and more claims that these types of approaches are the next miracle. In fact, the diet and diet related industry is a $50 billion a year enterprise yet we still seeing rising obesity rates. Additionally, 98% of people who go on a weight loss diet gain the weight back (plus more) within 1 year. There is something inherently flawed with either the motivation or the way in which we attempt to shed weight. Clearly we need a different approach, one that is uniquely tailored to the individual, based on self-love instead of self-hate and includes uncovering the emotional reasons for over-eating, maintaining macro nutrient balance, high quality food and joyful movement. This is how the field of Eating Psychology approaches weight loss which is considered the secondary result of exploring the emotional factors. It’s a kind and gentle approach and one that succeeds in helping people create a joyful life and healthy mind, bodies and souls. So, I’ve been cleaning out my closets. How did I end up with 2 of everything, especially coats…2 raincoats, 2 wool coats, 2 leather jackets, etc? Oh yeah, I had them in 2 different sizes because this is what happens when you gain and lose weight, you need duplicates in different sizes. Many people who gain weight will not buy new clothes because they refuse to buy stuff in bigger sizes but it’s hard to avoid with coats because you need to keep warm in cold climates. So, I ended up with 2 of everything. I write about this in a “flip” way but, when faced with this situation, it is very anxiety provoking and painful. Breaking down to buy the bigger size feels like failing. Failing to keep the weight off, failing ANOTHER diet and failing to be good enough. What’s worse is that the new item represents and serves as a reminder of that failure.